Lori-Ann Matte is a young figure skater who performs in pairs with her partner, Thierry Ferland. The two athletes are from the Quebec City region and Robert Boileau Inc. Scholars. Miss Matte tells us about the first competition of the new season that started in September. 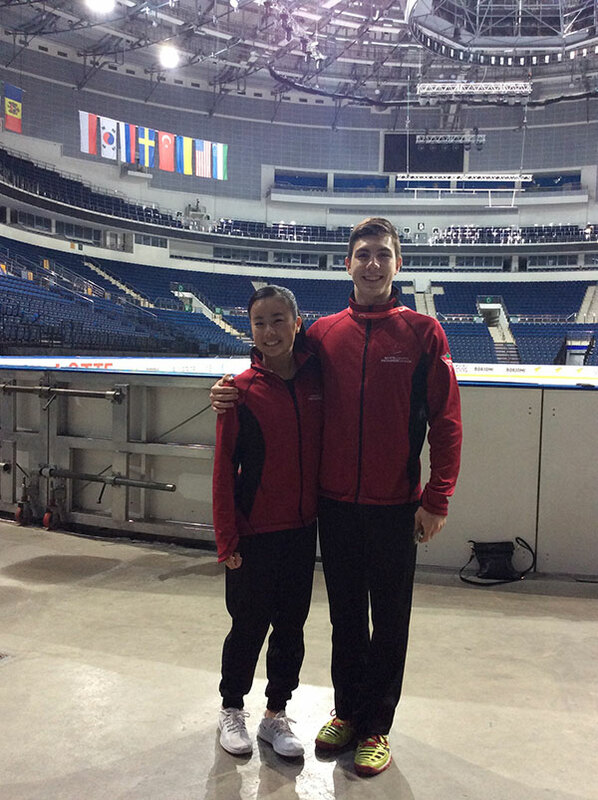 “Last week, we participated at our first international competition this season in Minsk, Belarus. Unfortunately, the week did not go as planned”, explains Lori-Ann. “After several incidents that prevented us from practicing during the week, we finished 8th in the junior couples’ event”. Still, the skaters had a good short program, but their long program was a little more difficult. “The challenge is up to us. We must learn how to overcome hardship to better perform later,” continues the young athlete. “Nevertheless, we appreciate being able to compete … We had a lot of fun during our stay and we were surrounded by a very good team of athletes, coach, physiotherapists, doctor and group leaders who have been able to support us both morally and physically “. The thoughts of the whole Zamboni team are turned toward the young couple of skaters. We wish them to fulfill their dreams.